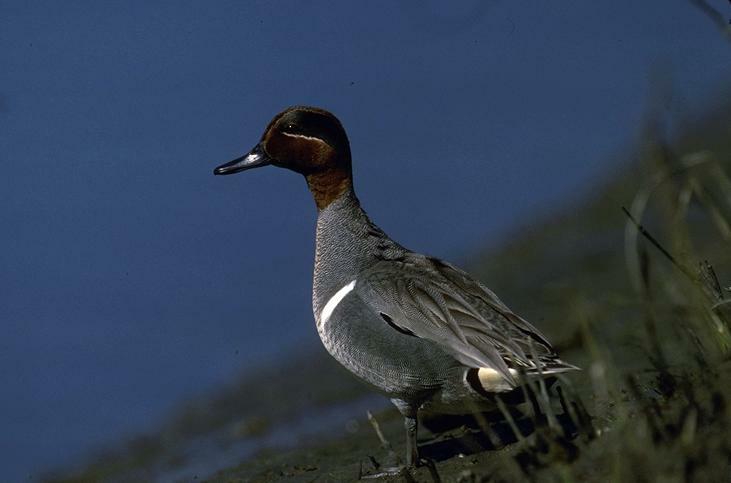 The California Department of Fish and Wildlife (CDFW) is offering waterfowl hunting opportunities at the Eden Landing Ecological Reserve (ELER) in Hayward during the 2018-19 season. The reserve includes former commercial salt ponds now managed by CDFW as low-salinity water bird habitat and areas restored to full tidal action. Access to ELER for waterfowl hunting will be open for 100 hunters on a first-come, first-served basis for each hunt only on the dates listed below. Eden Landing waterfowl hunts are unique in that there are no fees charged and hunting is offered on some Tuesday and Thursday dates when many other public waterfowl hunting areas are closed. All adult hunters must possess a valid California Hunting License, federal duck stamp, state duck and HIP validations. Hunters younger than 18 must have a junior hunting license and, if 16 or older, must also possess a federal duck stamp. Junior hunting license holders must be accompanied by an adult 18 years or older (hunter or non-hunter). Improvements have been made to ELER, including a boat launch on Mount Eden Creek allowing access to tidal areas on specified hunt days. Boaters are advised to consult local tide charts before launching and should be aware that extensive mud flats may be exposed and even shallow draft vessels can be subject to hidden underwater hazards during low tides, including riprap at the launch. There is a 25-shell limit in the field. Nonlead ammunition is required for hunting waterfowl and when hunting on all state wildlife areas and ecological reserves. A small boat, canoe or other floatation device is highly recommended to access ponds and blinds, navigable sloughs, and for game retrieval. A hunting dog is also recommended for retrieving birds. Be aware that water depths can be shallow and pond bottoms are soft. Hunters may request additional information, including area rules, regulations and maps at the time of check-in. Hunters are responsible for avoiding closed areas. To get to ELER from Interstate 880, exit at Alvarado Boulevard, continue west on Alvarado Boulevard, turn right onto Union City Boulevard, left onto Bettencourt Road (sign for Union Sanitary District), left on Whipple Road, right on Horner Street, then right on Veasy Street. Enter at the yellow gate to the check station.